The essential feature of a contingency fee is that the client only has to pay his attorney out of funds recovered from the defendant. It is usually calculated as a percentage of the total monetary recovery in the case. If there is no recovery, there is no fee. A typical contingency fee is one-third of the total recovery, but a contingency fee could be set at a higher or lower percentage depending on the type and difficulty of the case. The contingency fee may also vary depending on whether the representation includes handling any potential appeal. At the Alaska Personal Injury Law Group, we typically handle cases on a contingency fee basis. Can I Hire Counsel on an Hourly Basis? The attorneys at the Alaska Personal Injury Law Group will handle injury and wrongful death claims on an hourly fee if the client wishes. Because litigation can be lengthy and, at times, unpredictable, many individuals prefer to place the risk of paying their attorney on the attorney through a contingency fee arrangement. Most people choose such a contingency fee arrangement because they cannot afford to pay their attorney on an hourly basis. At the Alaska Personal Injury Law Group, we will discuss all available fee arrangements with you prior to your decision to retain counsel. Do I Have to Pay the Costs of the Litigation? Litigation involves not only attorney fees but also "out-of-pocket" expenses such as filing fees, court reporter charges, expert fees, copy expenses, travel charges, and the like. Often plaintiff's counsel will agree to advance these expenses and be repaid from the client's portion of the recovery if funds are recovered in the lawsuit. That is the practice followed at the Alaska Personal Injury Law Group. Because litigation expenses can become very substantial, it is important to hire a law firm that has the financial resources to see your case through to a successful conclusion. Can I Recover My Costs and Attorney Fees From the Other Side if I Win? Alaska is unique among the states in providing partial reimbursement for the "prevailing party's" attorney fees and costs. Under Alaska court rules, a prevailing plaintiff is typically awarded attorney fees calculated at roughly 10% of all amounts recovered. These percentages can be altered by the court under various circumstances. The attorneys at the Alaska Personal Injury Law Group would be happy to answer any further questions that you may have on this subject. Do I Have to Pay the Costs and Attorney Fees of the Other Side if I Lose? The "flip side" of the Alaska rule that a prevailing party receives an award of partial attorney fees is that the losing party has to pay that amount. Typically a prevailing defendant does not receive a damage award - it is instead found "not liable" to the plaintiff. Under Alaska court rules, a plaintiff typically has to reimburse a prevailing defendant 30% of its reasonable actual attorney fees and certain costs. This percentage may be altered by the court under various circumstances. 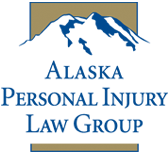 At the Alaska Personal Injury Law Group, we will carefully discuss these rules with you because it creates important potential benefits and potential risks for every litigant in Alaska.